To welcome the start of the fall semester, the “All Pass Ticket” monthly pass can now be purchased and “merged” with student EasyCards and student ID EasyCards starting August 27. To purchase the monthly pass, students will need to bring a student EasyCard or student ID EasyCard (a digital student ID for students 12 years old which is jointly issued by the EasyCard Corporation and local government/school authority) to MRT stations kiosks or ticket vending/value-adding machines. 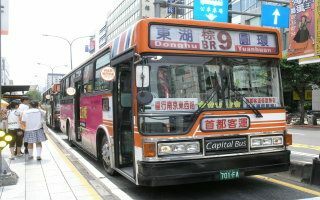 Since the introduction of the MRT-and-bus monthly pass on April 16, numerous commuters have adopted the option and significantly boosted the utilization rate of public transportation among residents of Taipei City and New Taipei City. According to the Department of Transportation, an average of 220,000 monthly pass has been used on the public transportation network each day over the 4 month period since April. It also reported a repeat purchase rate reaching 90-percent. Meanwhile, the utilization rate of MRT, public buses, and YouBike has seen a respective 1.7-percent, 1-percent, and 25.5-percent growth between April and June when compared to the same period in 2017. The agency emphasized that the monthly pass program is an important element of the overall policy encouraging green transportation. By integrating measures such as Metro Bus, YouBike transit discount, reevaluation of motorcycle and car fees, and banning of mopeds from arcades and sheltered walkways, the city seeks to increase the share of green transportation to 70-percent by 2022. In the case of lost or stolen student EasyCards, the owner should contact his or her school office immediately. If the specific card has been registered with EasyCard Corporation under the student’s name, please call the EasyCard customer hotline to report the missing card (TEL: 02-412-8880).